Generates a 100% Stacked Column chart, grouped side by side in code. 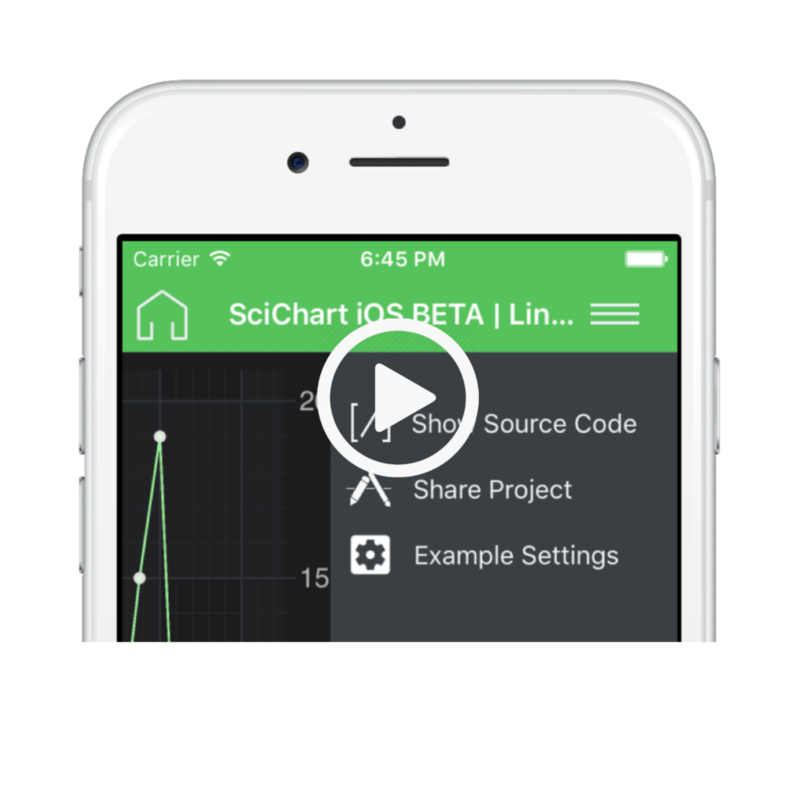 See Documentation on how to use this type here: The iOS Stacked Column Chart. The SCIStackedColumnRenderableSeries API can be used to render columns stacked above each other, or side by side in either Swift or Objective C. Grouping is performed when you place multiple SCIStackedColumnRenderableSeries into a SCIVerticallyStackedMountainsCollection or for horizontal column groups, the SCIHorizontallyStackedColumnsCollection. Data is provided by a DataSeries, e.g. the SCIXyDataSeries, XyyDataSeries (uses Y1 only) or SCIOhlcDataSeries (renders close). 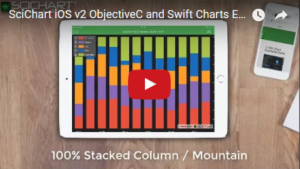 The Swift 4 and Objective-C source code for the iOS Stacked Column 100% Chart example is included below (Scroll down! ).